Unequal treatment of beneficiaries in a will can result in estate litigation and a will challenge. The unequal treatment of beneficiaries is one of the most common situations when contesting a will may be an appropriate course of action. Many people believe that have complete freedom to dispose of their estate as the desire. Although that is generally the case, the unequal treatment of potential beneficiaries may have legal consequences. There are many situations when a parent may even decide to disinherit a child while enriching a favorite child. For example, if a parent has three children and one of these children becomes estranged from the family or decides not to care for and support the parent when the parent ages, then that child may be disinherited under the will. The parent many remove that child from the will while leaving all assets of the estate to the other two children. It is also common for the parent to leave a nominal amount to the child being disinherited, while leaving the balance of the estate to other beneficiaries. There are also cases where the parent may leave the estate to an organization such as a charity, leaving nothing to any of the children. If any of the above scenarios take place, the estate may be open to estate litigation and a will challenge. The disinherited child will likely be very unhappy, especially in a situation involving a vast estate with many assets. If you are in a position where you are the victim of unequal treatment or if you have been excluded from a will, you may be in a position to challenge the validity of the will. There are many grounds upon which to challenge the validity of a will. An estate lawyer can help you review the circumstances of your case in order to determine if you have valid grounds for a will challenge. Although this may be an emotionally challenging process, it is important not to relinquish your legal rights, and to act quickly to ensure you take the necessary steps to claim from the estate. Contesting a will is a complex process and should be done with the advice from an estate litigation lawyer. 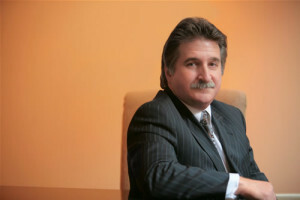 Charles is a Toronto estate lawyer with over 35 years of experience in litigation. He is highly ranked in various peer reviews and he can assist you if you believe you are the victim of unequal treatment.